"I Can Fly!" Makes me wonder if this occasionally crosses the Sandhill Crane's thoughts when they first take flight. 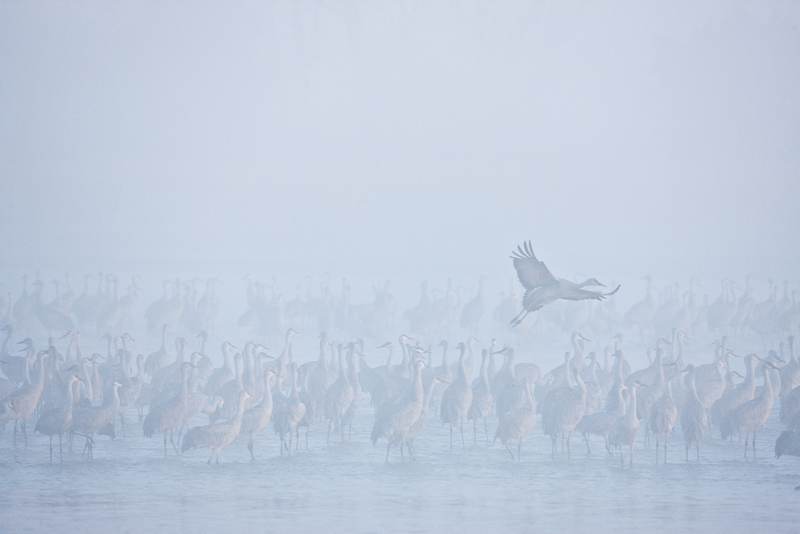 Thousands of cranes along the foggy Platte River take a break on their migration north. The Platte River is one of the largest migration points for the Sandhill Crane in North America. Photo © copyright by Lance B. Carter.